Using the ready-to-use predesigned objects from the Basic Diagramming Solution for ConceptDraw DIAGRAM you can create your own professional looking Polar Graphs quick and easy. 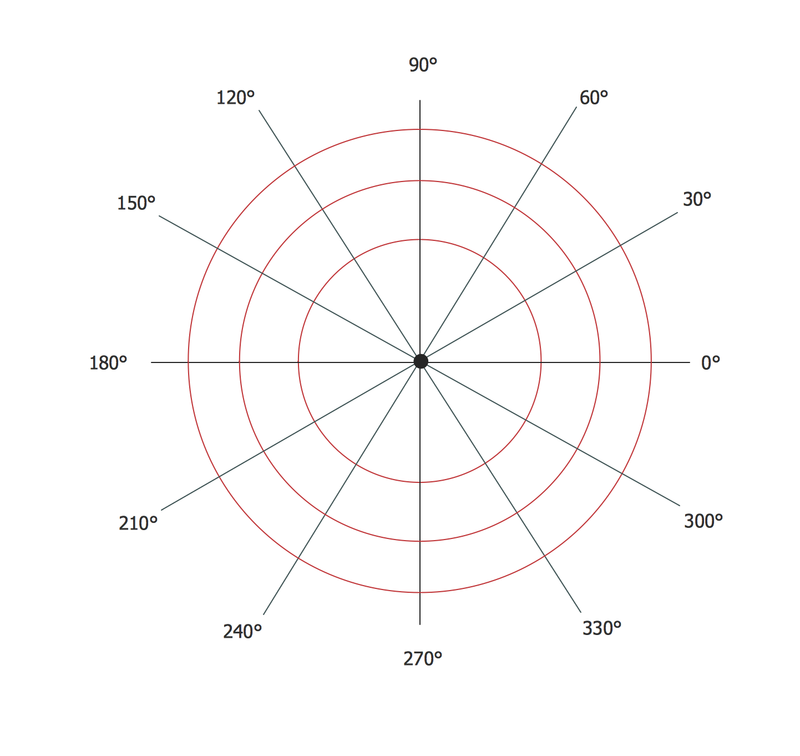 The Polar Graphs produced with ConceptDraw DIAGRAM are vector graphic documents and are available for reviewing, modifying, and converting to a variety of formats (image, HTML, PDF file, MS PowerPoint Presentation, Adobe Flash or MS Visio). ConceptDraw provides some interactive xy chart and scatter graph symbols that offers advanced features yet is simple to use.